​Can you work with a couple from out of the area? ​Yes, this is one GREAT reason to hire a planning service. We know the area, we know the vendors, and we are here—to meet, measure, install…etc. 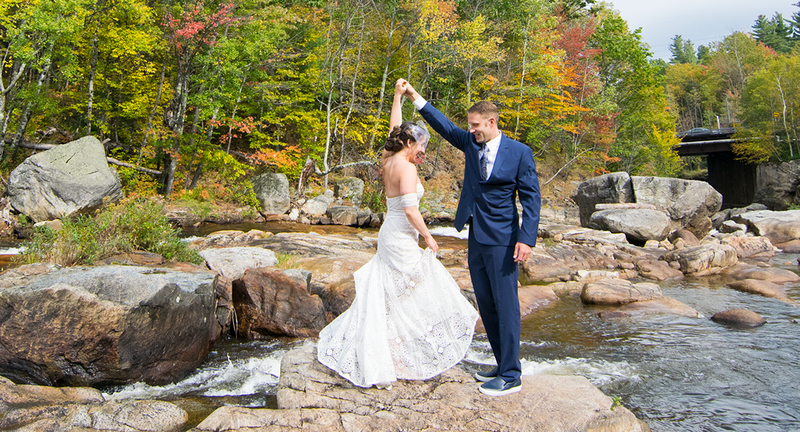 What is the best month to get married in the Adirondacks? ​The best month is the time that works for you and your guests. Think of your optimal schedule first and foremost then think about season, on any given day, you seemingly have a 50 percent chance of it being outside. Additionally always check the events in town to assure your date won’t be a challenge or cost prohibitive to get hotel rooms and blocks. ​There are other planners to choose from, what sets your company apart? ​Juniper Events & Design has been planning weddings and special events since 2003. Nearly 300 successful events later, you know you are making a wise decision for the most important day of your life. We are personable, cool under pressure, always quick to respond, on the cutting edge of industry--and love what we do. We are not sure we need a planner, why should I consider it? ​Save your marriage before it starts -- and keep your day job. What that means is planning an event of this scope and importance can literally make you crazy. There are so many small decisions to be made all the time and so many things to consider, you and your spouse will be back and forth 1,000 times trying to figure out what might be best when an experience planning service already knows. Regarding your job, planning is our business, when you try to go it alone, you will spend countless hours on the internet researching bands, caterers, photographers—all vendors we already know and have worked with. We can save you countless hours of second-guessing and ensure that you have made the best decision for your event. Also the investment you make in planning can also be recovered in one other smart vendor decision (for instance, the cost of rentals, bands, photographers, and caterers can vary by thousands) we can guide you through these financial choices and then you will have the peace of mind of having a partner that has your back. I want rustic touches, but also want the event to be elegant. Can you help us with design? ​Yes, design is one of our favorite parts of the process. We are always gathering great ideas and know the ins and outs of rentals vs. purchase, floral, linen, tent décor, lighting design and more to make your day just has you envisioned and Pinterest worthy! My groom doesn’t really want a planner because he wants to just go with the flow, what should I tell him about the planning process? ​We don’t wear headsets, or wave around clipboards, instead, we get to know our clients and their needs in advance so that the day can unfold organically and seamlessly just how you envisioned. For the groom, his bride will be more relaxed knowing every detail has been handed off to our capable hands, and a beer may appear in his hand just before his last sip of his first one.